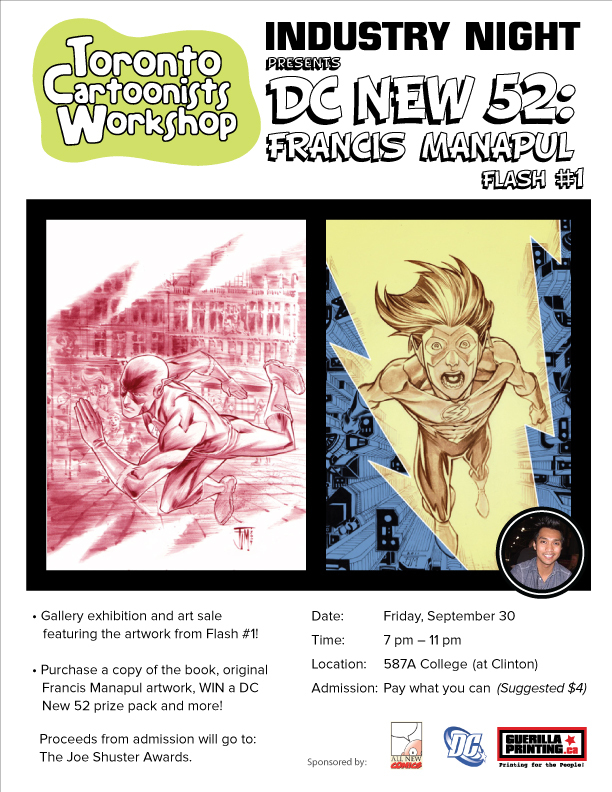 Toronto Cartoonists Workshop presents Industry Night with Francis Manapul – DC: The New 52: The Flash #1 Release Party & Gallery Show – Friday, SEPTEMBER 30th. The original artwork from issue #1 will be on public display at the TCW gallery (along with other Francis Manapul original art & prints for sale). 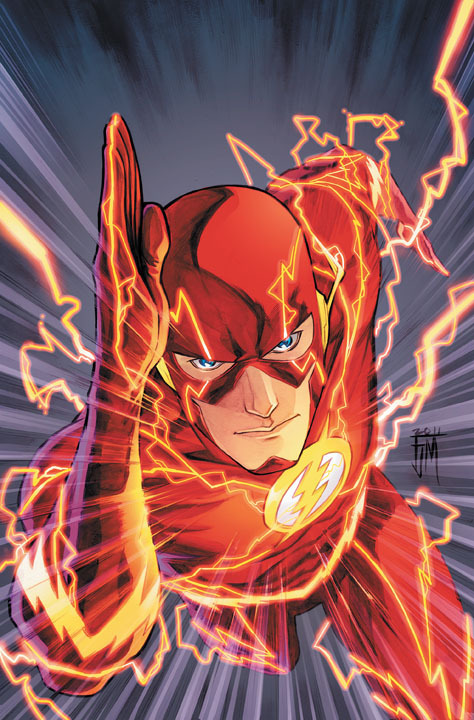 Come out and support this talented writer/artist, pick up a copy of THE FLASH #1and if you’re lucky, a piece of artwork! Admission is pay what you can ($4 suggested donation) with proceeds going to The Joe Shuster Awards. This event is sponsored by All New Comics. Don’t miss this one! Flyer says September 30th but post summary says September 12th. Corrected on the one spot with the wrong date. Obviously it is September 30th. What I would give to attend this…..